Before he reinvented himself as nonsense king Gamma Goochee, John Mangiagli was working as a dental technician by day, rock n’ roll guitarist by night. After a stint with Johnny Otis, Mangiagli connected with Ebb Records in-house producer Jesse J. Jones, who’d recently set up his own Morocco label to capitalize on America’s new found fascination with electrified hillbillies. 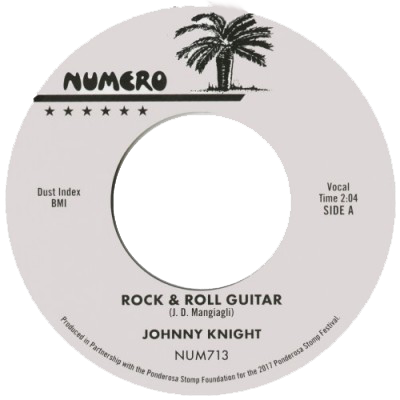 “Rock and Roll Guitar” b/w “Snake Shake” appeared briefly under the name Johnny Knight in early 1958, disappearing before the end of the year when Jones shuttered Morocco and founded L.A. R&B powerhouse 4-J Records. “My record started to break in New Orleans and they wanted more records–they thought I was a black guy because I could do rhythm & blues too–but my record company was small and didn’t have any money. The guy never even gave me a copy of the contract. It was a mess. They went bankrupt and I thought, ‘There goes my song.’” Mangiagli lost no sleep, returning to teeth—and eventually the studio—every year under some new alias or another over the next decade; Johnny Marlo, Johnny Donn with the Jazzrockers, Johnny Mangelli, and finally Gamma Goochee Himself. For the first time since it’s 1958 issue, “Rock and Roll Guitar” has been legitimately reissued, under the watchful eye of producer Jesse Jones. 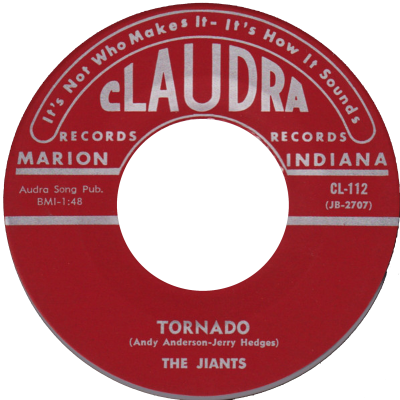 This 2017 edition was pressed in Germany on black vinyl in edition of 500, and is only available to attendees of the 2017 Ponderosa Stomp Festival.